Home - Werwolf Gaming - DarkRp is now out officially, its back better than ever! DarkRp is now out officially, its back better than ever! DarkRP is now out officially. After testing the server for sometime it is now public. We will not be relocking the server unless we run into a serious issues. 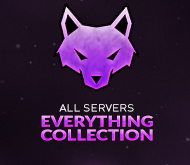 You can read about the server here, however, this post does not include all the content we have to offer.